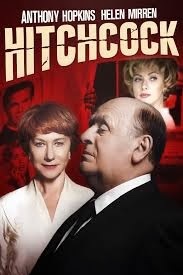 Review: A love story between Alfred Hitchcock and his wife Alma Reville. There was a program that came out on the TV called The Girl. This was shown on TV just months before the film Hitchcock was released. Toby Jones played Hitchcock and felt that the TV program was a much better production. In my opinion, Toby Jones actually portrayed Hitchcock much better than Anthony Hopkins. He was more entertaining. Try and get a copy of The Girl if you can. I think of Hitchcock as a sequel to The Girl. Anthony Hopkins had the pleasure of meeting Hitchcock when he was younger. Posted in 2012, Biography, Drama, HTagged Anthony Hopkins, Helen Mirren, Sacha Gervasi, Scarlett Johansson.